Join the Hedera Hashgraph community in Tel Aviv, Israel listen to an excellent presentation made President of Hedera Hashgraph, Tom Trowbridge. This event also coincided with the 10-year anniversary of launch of the Bitcoin network… I wonder what Satoshi would think about gossip about gossip? Special thanks to Hashgraph Ambassador, Lior Goldenberg for sharing this video and the Hashgraph community in Tel Aviv! Hashgraph is a data structure & consensus algorithm that is fast, secure and fair. The Hedera hashgraph platform provides a new form of distributed consensus. The platform is lightning fast, secure, and fair. Hedera enables and empowers developers to build an entirely new class of distributed applications never before possible. 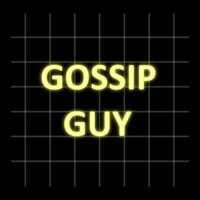 The Gossip Guy – Join me as we “gossip” about the world powered by hashgraph! “Gossip” comes from the gossip about gossip protocol that powers hashgraph. Note – The Gossip Guy does not work for Hedera Hashgraph or Swirlds nor receives any direct or indirect compensation nor opportunities for investment by making these videos. All topics are for information and education purposes.